The sports and cultural activities constitute an important aspect for the transformation of the prisoners physical and mental health. Various sports and cultural activities such as Volleyball, Badminton, Chess, Carrom and organization of cultural programmes through various cultural wings of the J&K Government have become part of the Prisons Department programmes. Cultural programmes by teams from Songs and Drama division Jammu and NGO’s have been organized in the Jails for the entertainment of Jail inmates. 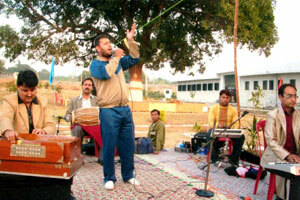 In these activities, the inmates have also participated and surprised the audience by their talent.